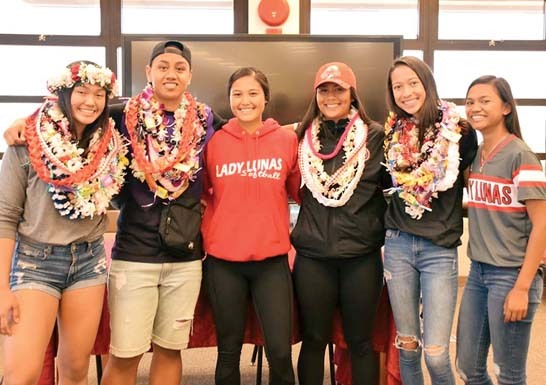 LAHAINA — When Nanna Inoue moved to Maui from Japan just prior to her freshman year, she had little idea that she would find a volleyball team that would lay out the welcome mat like King Kekaulike High School did. The diminutive, 5-foot-3 sophomore libero has been embraced like family by Na Alii, which rolled to their seventh straight sweep in Maui Interscholastic League Division I play Tuesday night, beating Lahainaluna 25-18, 25-15, 25-18. 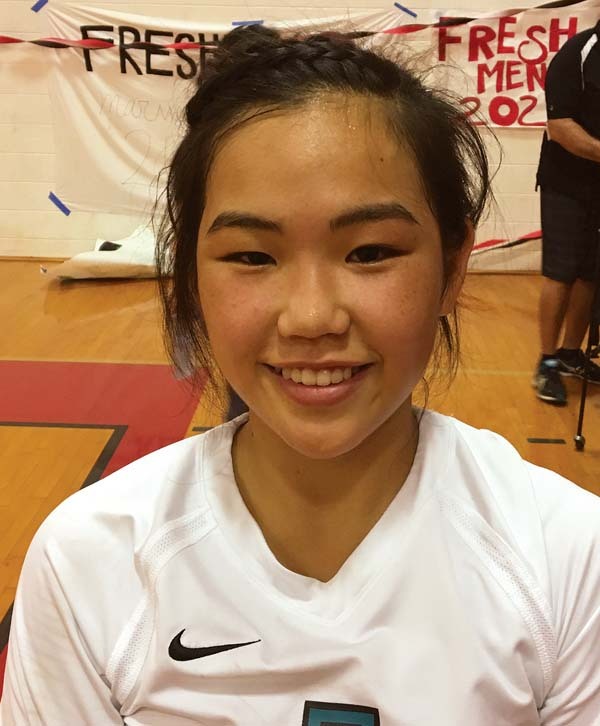 As post-match festivities went off all around her in a packed Lunas’ gym — it’s homecoming week for the West Maui school — Inoue smiled like she seemingly always does after she had a match-high 12 digs to go along with four aces. The only time Na Alii (7-0) has allowed an MIL team more than the 18 they gave up twice to the Lunas was when the bench was emptied in a 25-23 set win over Maui High. King Kekaulike is ranked fourth in the state by the Honolulu Star-Advertiser and sixth by scoringlive.com. From the perspective of the second-place Lunas (4-2), Na Alii are all of that. The Lunas were led by four kills apiece from Taylor Ganer and Vaelei Long. They have not been to the state tournament in more than 30 years according to Nuesca-Ganer, but they look like solid contenders for the MIL’s second berth this season. They are the first MIL opponent to reach 18 points in sets twice in the same match against Na Alii. The state tournament remains the goal for Lahainaluna. Inoue’s defense helped her King Kekaulike teammates do their things. Nohokula Lind smacked eight kills to go along with two blocks and seven digs. Brooklynne Albrecht had six kills and a block, while Nina Macphetridge had seven kills, an ace and six digs. King Kekaulike coach Al Paschoal brings in alumni and male players to face his stacked team during practices. Some of the alums who come to sharpen the current Na Alii players include Tupou Satele, Dreanne Shaw, Treyanna Freitas and Breannalye Rodrigues. 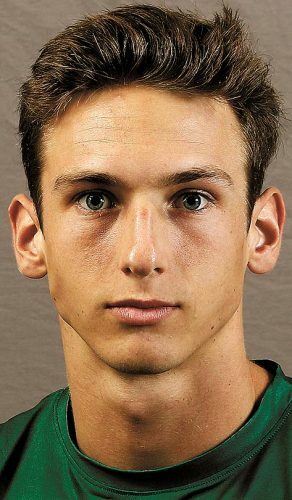 “We’re very fortunate to have some of the returners, some of the graduates come in, then we have got to put the guys out there,” Paschoal said. “So, it’s nothing against the league and the level of it, but some of those upper echelon teams (in the state) we can’t match up with unless we see it in the gym. 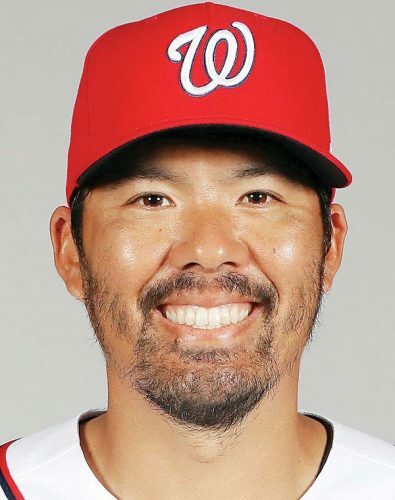 The attack all starts with the stellar passing of Inoue.